SA13-472 Illustrated Dictionary of Science. This illustrated dictionary provides concise definitions and explanations of science related terms together with state-of-the-art scientific and practical terms, presented in an easy-to-use, A-Z order with pictures and figures as well as examples are given to clarify the terms. Packed with special full-page features on this subject and developed in close consultation with team of experts, this is the ultimate reference tool for Higher Secondary to Undergraduate students. SA13-463 Learning Science by Doing Science: 10 Classic Investigations Reimagined to Teach Kids How Science Really Works, Grades 3-8. SA13-461 Reframing Science Teaching and Learning: Students and Educators Co-developing Science Practices In and Out of School. SA13-449 Responsive Teaching in Science and Mathematics. SA13-456 Encyclopedia of Science Education, 2-Vols/Set. SA13-442 The Go-To Guide for Engineering Curricula, Grades 6-8: Choosing and Using the Best Instructional Materials for Your Students. SA13-438 Proven Programs in Education: Science, Technology, and Mathematics (STEM). SA13-438 Primary Science for Trainee Teachers. 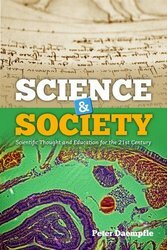 SA13-422 Science and Society: Scientific Thought and Education for the 21st Century. Written for the undergraduate, majors and non-majors alike taking a foundational course in science, Science & Society: Thought and Education for the 21st Century helps students become better consumers of science by showing them how to think like a scientist. Scientific principles are infused with case studies, stories, paradoxes, poetry, medical dilemmas, and misconceptions, all through a lens of skepticism. Throughout the book, provocative science examples are provided to guide students and encourages them to consider facts more critically. The author exposes readers to research methods, science philosophy, critical thinking strategies, mathematics, and history, and urges them to question data and think scientifically. End-of-chapter questions link to interesting content that is sure to stimulate debate and discussion in the classroom. This engaging, interdisciplinary approach to learning science leads student to real truths behind many natural phenomena and leaves them eager to continue their scientific studies. SA13-399 Epistemology and Science Education: Understanding the Evolution vs. Intelligent Design Controversy. Online Science Learning: Best Practices and Technologies. SA13-344 Science Education: Models and Networking of Student Research Training under 21. For those, who will read this book, it will be obvious why to engage in scientific education of talented students, as early as possible to develop the critical minds or scientific method judgments. There are multitudes of initiatives all around the world; and the number of these programs are steadily increasing. However, most of these initiatives are local programs connected to one or two motivated teachers or professors. They work in isolation, often struggling with the lack of resources and stay unrecognized to the general public. This situation was a trigger to establish an international network, called the Network of Youth Excellence (NYEX) in 2004. The members of this network are organizations with a proven devotion to promoting scientific research among young students (i.e. under the age of 21). All member organizations delegate a representative to the Board, which is the main decision making body in important issues. The Board selects the Executive Board by entrusting a chairperson and two vice-chairs among themselves. The Executive Board is responsible for implementing causes, making everyday decisions and coordinating network activities. Education in, about, and through the sciences - physics, chemistry, biology, earth science--has grown rapidly in the last 150 years. Starting from the twin bases of an elective provision for those likely to become scientists and engineers of informal provision for the general populace, it has evolved into a core component of compulsory education across the globe. Above this rises an edifice of provision at university level and beyond, both formal and informal. This expansion has been justified by the number of decisions in democratic societies, and that it increasingly impinges on the personal lives of individuals. 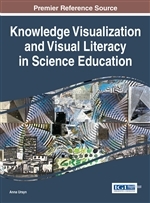 This collection of papers drawn from a world-wide literature and reflecting diverse cultural traditions provides a resource for scholars seeking to unravel the historical trajectories of the complexities of science education. The papers reprinted in this set enable researchers to understand the nature of current provisions in the field, and to identify the likely future directions of development. SA13-320 Science Education: Best Practices of Research Training for Students under 21. The book is a unique survey of the best science education practices with special emphasis on scientific research training of motivated young students up to 21. Its content provides a great help to all teachers dealing with talented students and to all scientists and activists in the field of science education. A key point is the science education of high school students, who are in a very susceptible age to ask clear questions about the world around them, and to seek answers in a methodological way, as science does. This is the age of self-test, where the adolescent tries his strength and capabilities. Scientific research provides a unique and unparalleled opportunity for outstanding achievements even in this young age. The hierarchy-free atmosphere of a good scientific group gives the talented high school student a long-sought freedom and a unique opportunity to break from the original social and economical circumstances of the family. Identification and organisation of these usually highly talented students shows them that they are not alone, and gives a lot of friends for these young fellows who are often considered “odd” and “funny” in a regular school. Moreover, research training makes the social circles surrounding these students (schoolmates, family, relatives, etc.) understand science and breaks the alienation from scientific research in a significant part of the society. The book summarizes the best contributions of a workshop helping to establish more of these research training practices world-wide. Participants of the workshop formed a Network of Youth Excellence, which can be reached at www.nyex.info. The movement received the Descartes Award of Science Communication from the European Union in 2004. VD08-21 Student's Guide to Earth Science, A. 4-Vols/Set. This four-volume set presents an overview of earth science from the earliest observations of ancient peoples to discoveries of today's scientists. Earth science includes astronomy, geology, meteorology, and oceanography. The first volume, "Words and Terms," defines important words in these sciences. The contributions made by such scientists as Galileo, Sir Edmund Hailey, and Florence Bascom are described in the second volume, "Important People," which highlights contributions made by women and minority groups to a traditionally male profession. "Developments and Discoveries," the third volume, traces the history and development of this science, and the fourth volume, "Debatable Issues," presents the most hotly debated topics today, such as space exploration and global warming. Volume 1: Words and Terms Volume 2: Important People Volume 3: Developments and Discoveries Volume 4: Debatable Issues Set Features: BL 720 pages in 5 volumes BL 6 1/8 x 9 1/4 BL 2-color interior BL 300 Photographs, Maps, Charts, and Graphs BL Sidebars and Fact boxes BL Primary Documents BL Glossary BL Cumulative Index (in each volume). Curriculum Themes: BL Geology (types of rock, layers of the earth, earthquakes) BL Astronomy (structure of the universe, planets and stars within it) BL Meteorology (clouds, weather) BL Oceanography BL History of earth science BL Famous people in earth science BL Global warming BL Natural resources. SA13-398 Primary Science: Knowledge and Understanding. SA13-361 National Science Education Standards.